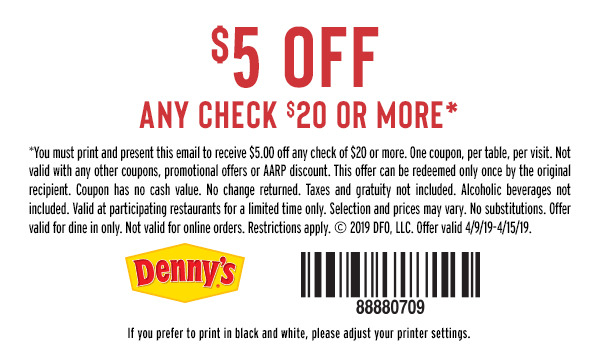 CLICK HERE for your Denny’s $5 off coupon. Print and give to your server to get $5 off a check totaling $20 or more. Only printed coupon is accepted. Good for in-store only, not for online orders. Good now through April 15, 2019. Not valid with other coupons or Denny’s AARP Discount.